Male, Fang secret society members wear masks called Ngil during initiation and persecution ceremonies. Certain masks and statues are made for members only because their sculptural art is tied to being devoted to bieri, a strong ancestor worship cult. Ancestor figure(s), bieri, are consulted when the clan was to change location, plant crops, during a palaver, before hunting and fishing, and going to war. The family cult does coexist with other beliefs as members seek to protect themselves from the deceased and receive aid in daily life matters. Fang, secret society members are male and wear masks called Ngil during initiation and persecution ceremonies. 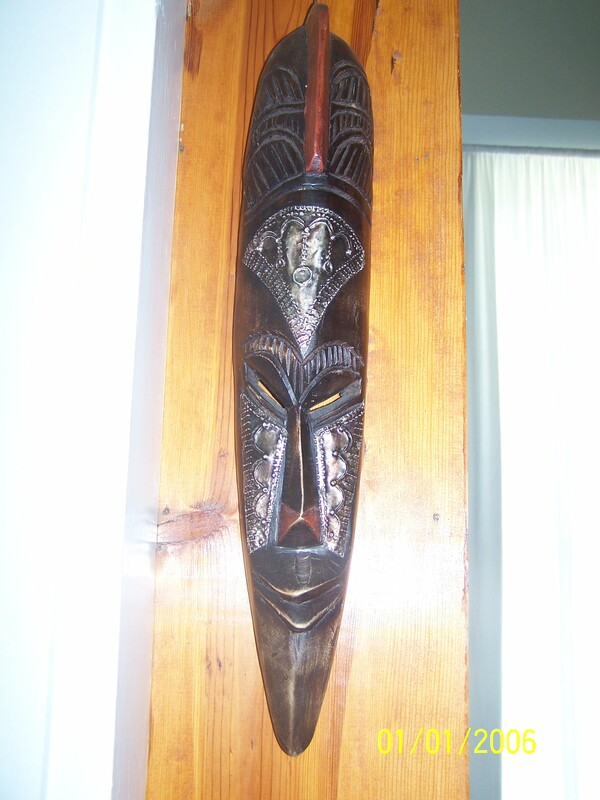 Certain masks and statues are commisioned for members only because their sculptural art is tied to being devoted to bieri, a strong ancestor worship cult. Ancestor figure(s), bieri, are consulted when the clan was to change location, plant crops, during a palaver, before hunting and fishing, and going to war. The family cult does coexist with other beliefs as members seek to protect themselves from the deceased and receive aid in daily life matters.